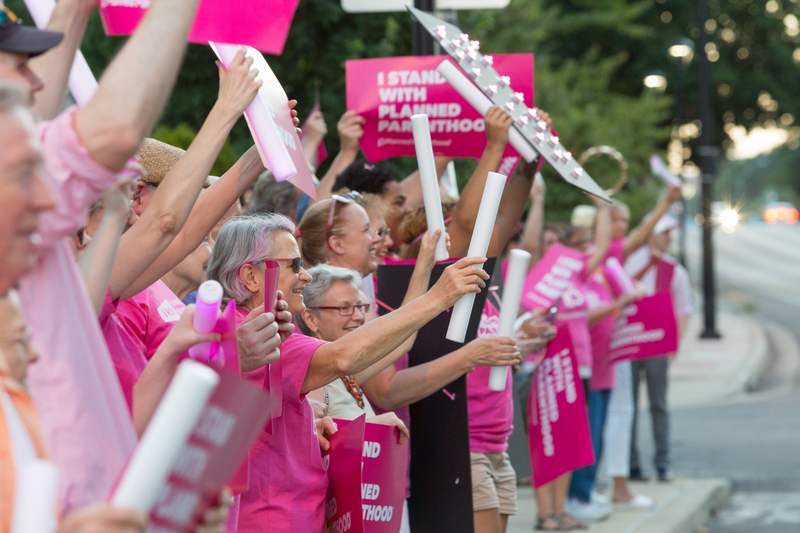 Rep. Vicky Hartzler (r): Prayers on Super Sunday! What ever happened to the hot meal? Good. How about making sure people have access to affordable healthcare. Gee, if only you’d stop voting against funding for treatment and insurance coverage. Maybe think about funding NHI and CDC better instead of your worthless prayers! A little healthcare insurance would sure help. I don’t believe prayers are accepted by the Cashier. I’m one of the people with cancers that you voted to takeaway my health insurance. So please stop sending these like you care tweets. You are fooling some voters but aren’t fooling God. I will save you a seat in Hell. At least it wasn’t a worthless dip recipe. Another morning and the republican controlled U.S. Senate has brought back zombie Trumpcare. 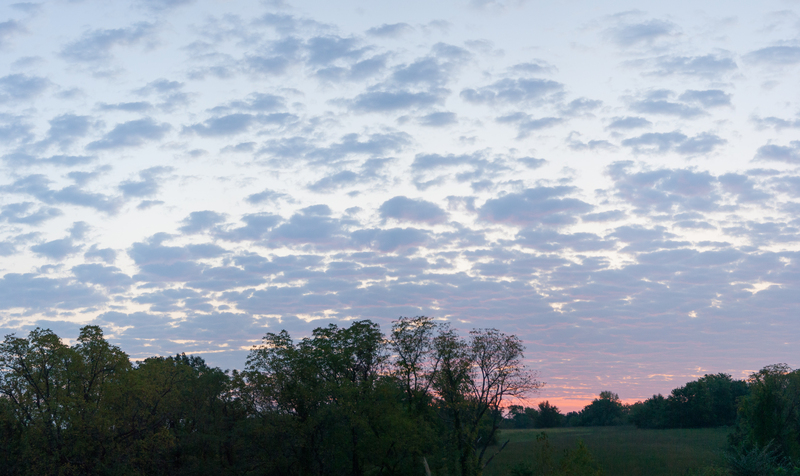 Sunrise in west central Missouri. Sure, 32 million people will lose access to affordable health care. What could go wrong? You all know what to do. To the phones. In the streets. 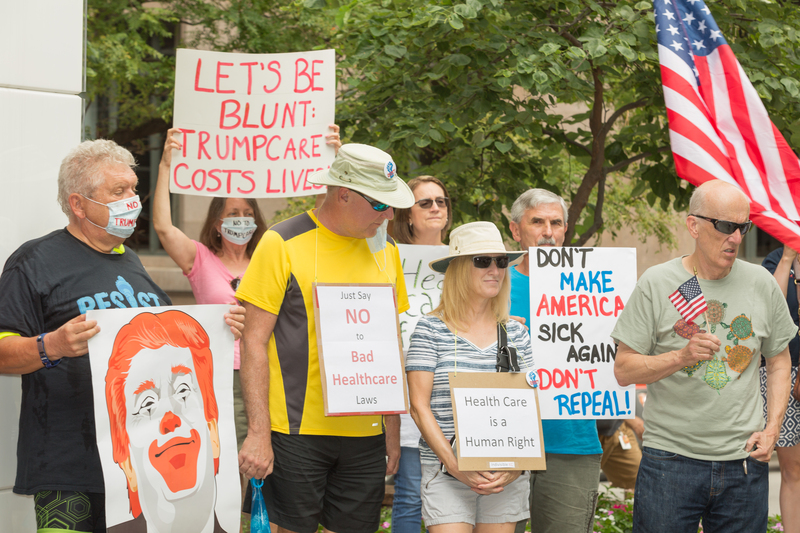 There were a number of “Our Lives on the Line” rallies supporting Medicaid, Medicare and the ACA across the country today. 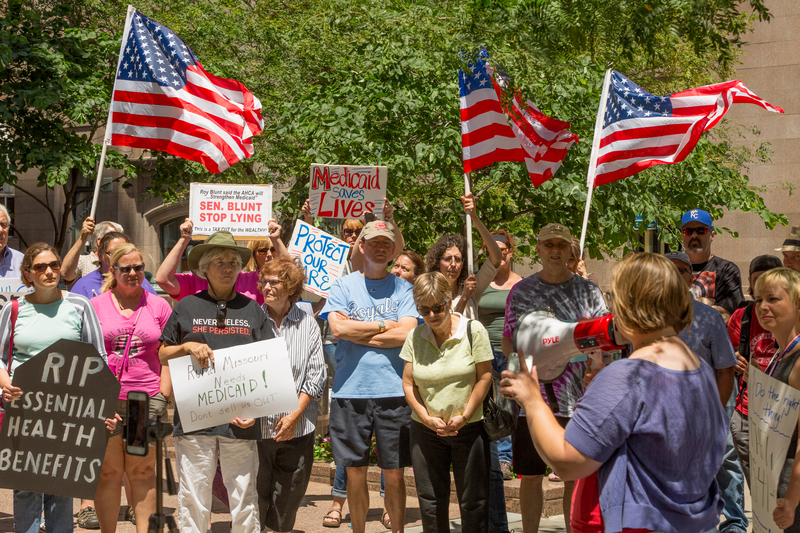 The rally in Tucson started at 10:00 a.m., in the July morning heat, with over thirty individuals attending. 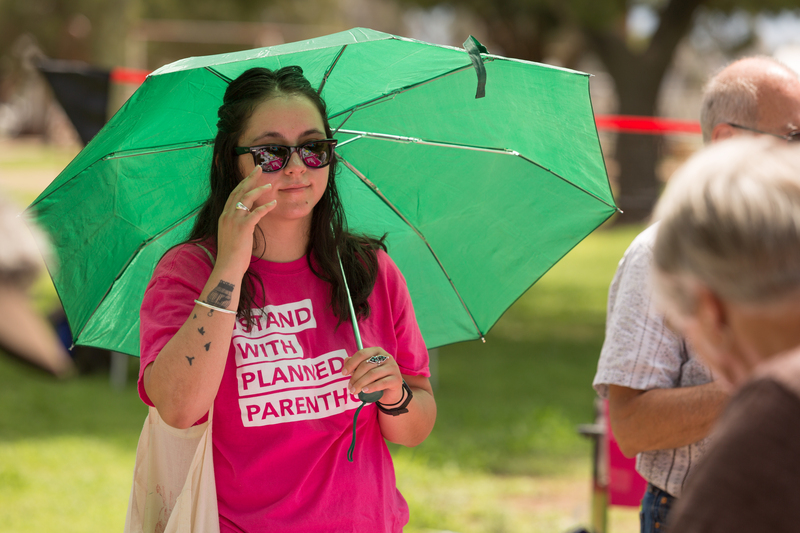 OFA, Planned Parenthood, and LUCHA were among the sponsoring organizations. 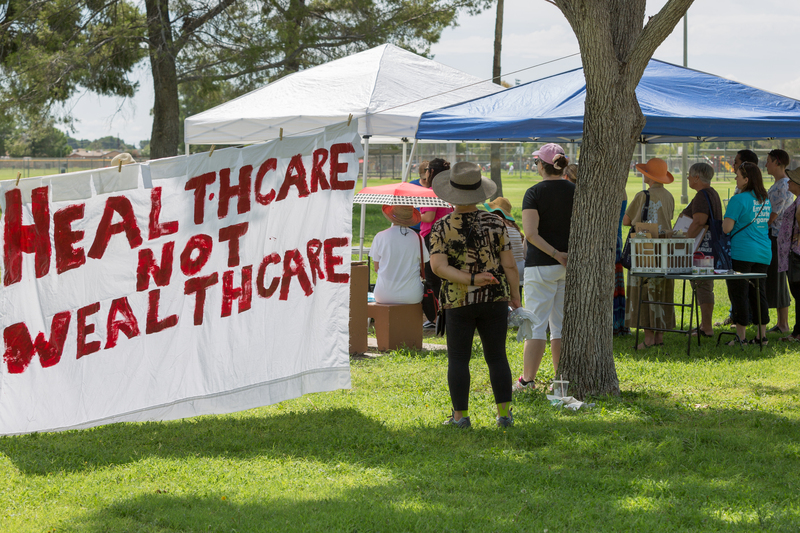 “Our Lives On the Line” rally, Rudy Garcia Park, Tucson, Arizona, July 29, 2017. 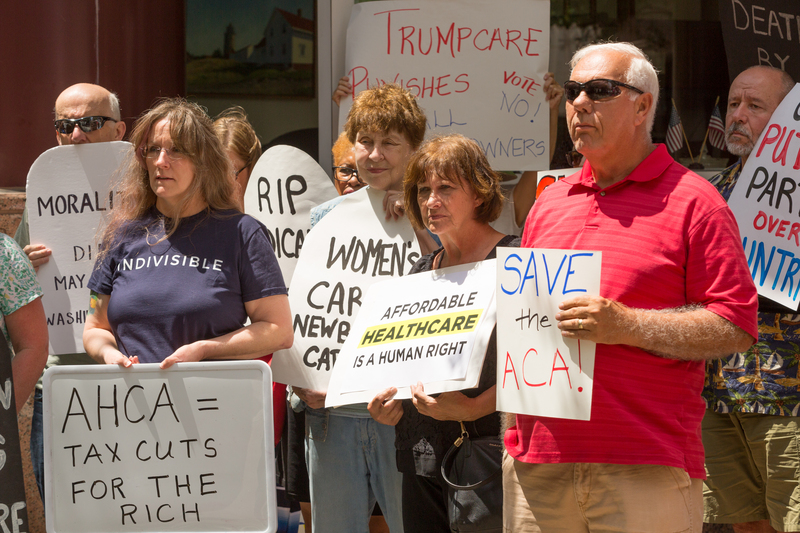 Much like the Indivisible events in Kansas and Missouri, many attending these rallies tell their health care stories. Again. Like the last six months. Again. 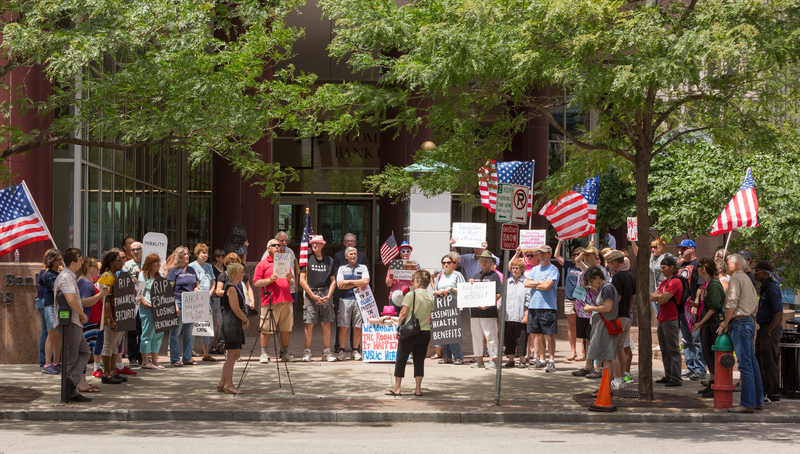 At noon today over forty constituents showed up at the building entrance for Senator Roy Blunt’s (r) Kansas City office at Tenth and Walnut to express their opposition to Trumpcare. Nope. 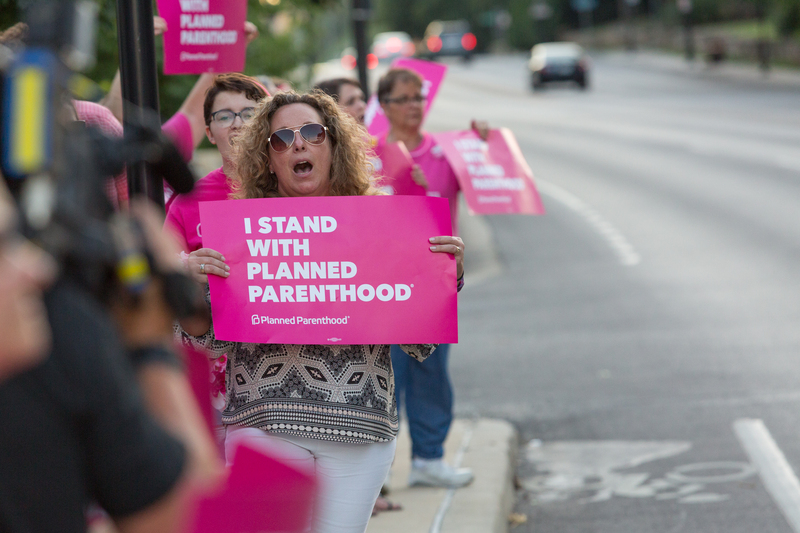 Still no open public town halls in Missouri with Senator Roy Blunt (r). Again. Two staffers from Senator Blunt’s (r) office came out to the building entrance to listen and take notes. There’s a lot of frustration. Speakers asked why Senator Blunt (r) won’t hold an open public town hall or bother to show up at one of these regular events to listen to them. They wonder if their words here today and in the past are even reaching him. 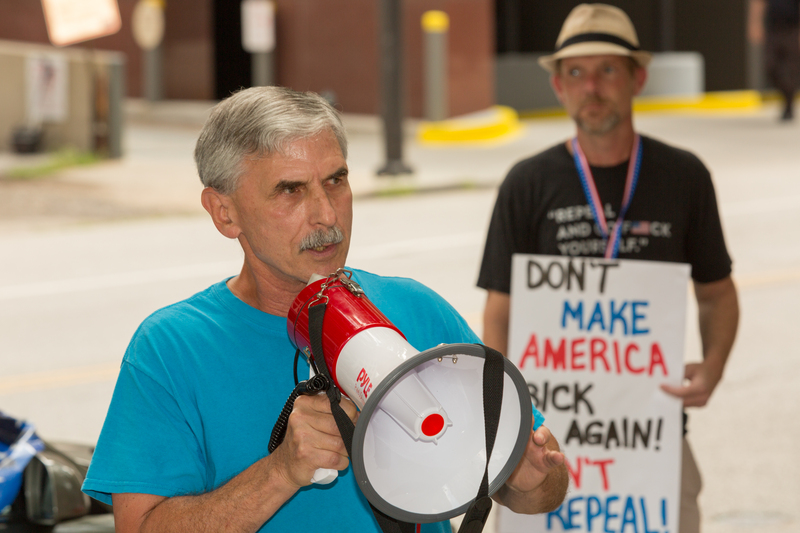 At a demonstration in front of the building entrance to Sen. Roy Blunt’s (r) downtown Kansas City office – July 7, 2017. …but it takes a lot of courage to help the most vulnerable, the poor, the sick! That’s not supposed to be how it works. 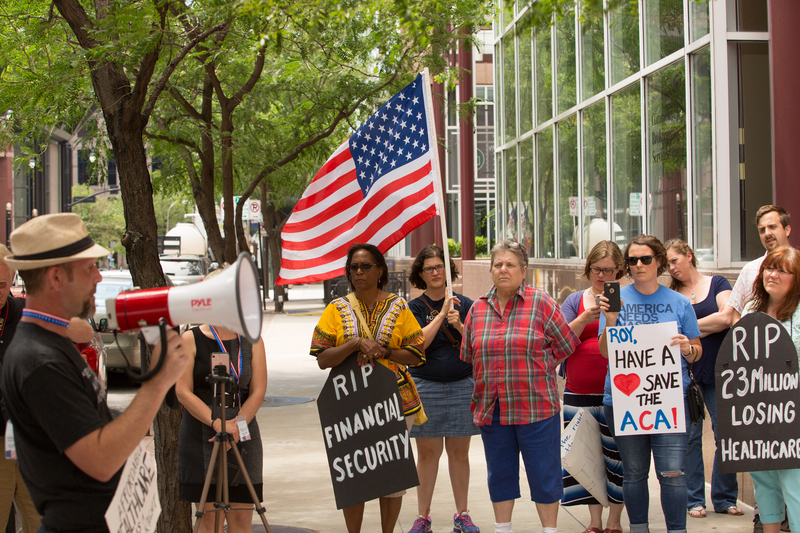 At noon today over fifty constituents showed up at the building entrance for Senator Roy Blunt’s (r) Kansas City office at Tenth and Walnut to express their opposition to the republican Senate Trumpcare bill. 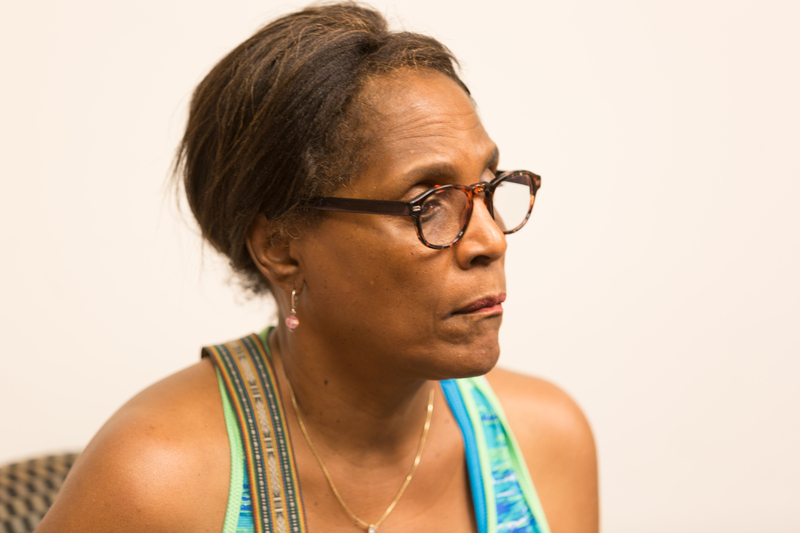 Individuals in turn told their health insurance stories and the challenges they will face with repeal of the provisions of the Affordable Care Act. A staffer from Senator Blunt’s (r) office came to take notes. 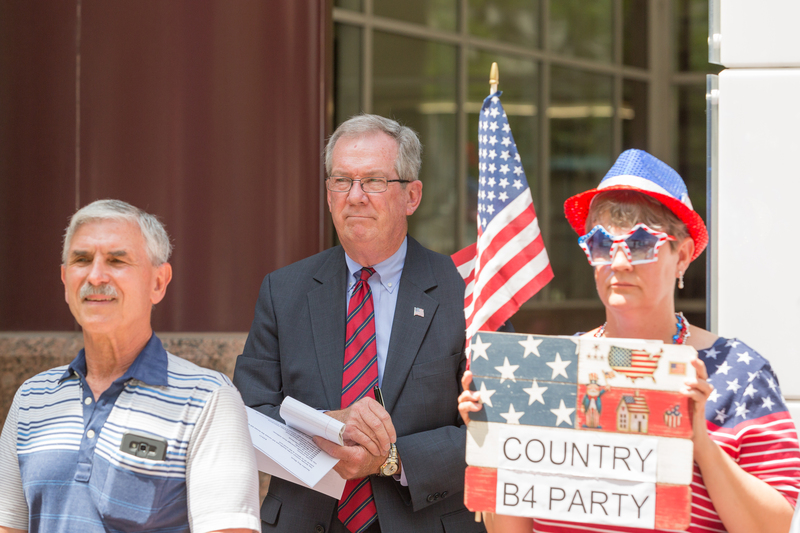 Listening – staff (center) from Senator Roy Blunt’s (r) Kansas City office. The action, sponsored by Indivisible KC, lasted an hour. 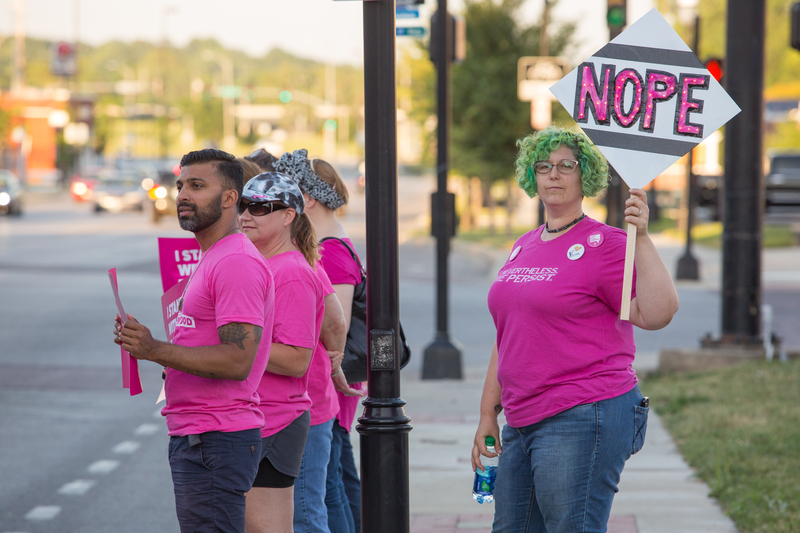 Last night in midtown Kansas City well over a hundred supporters of Planned Parenthood, most dressed in pink, demonstrated in support of women’s health care on Emanuel Cleaver II Boulevard. 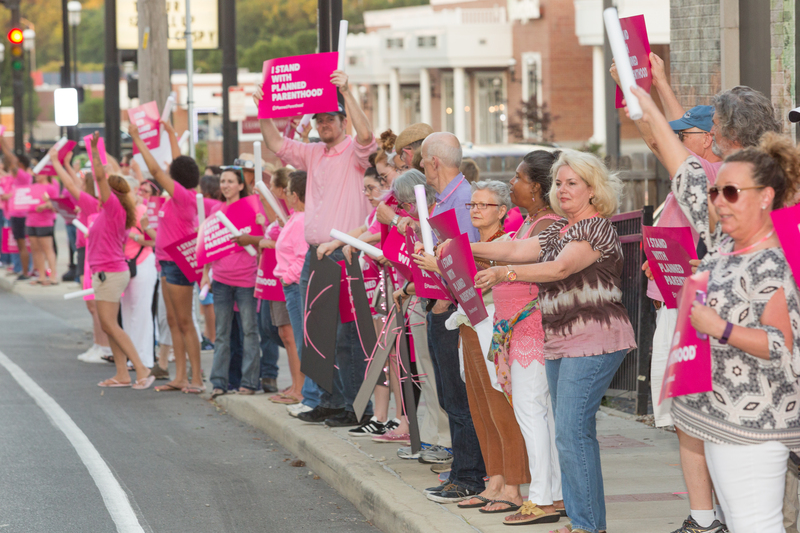 This was one of many #PinkOut actions across the country. 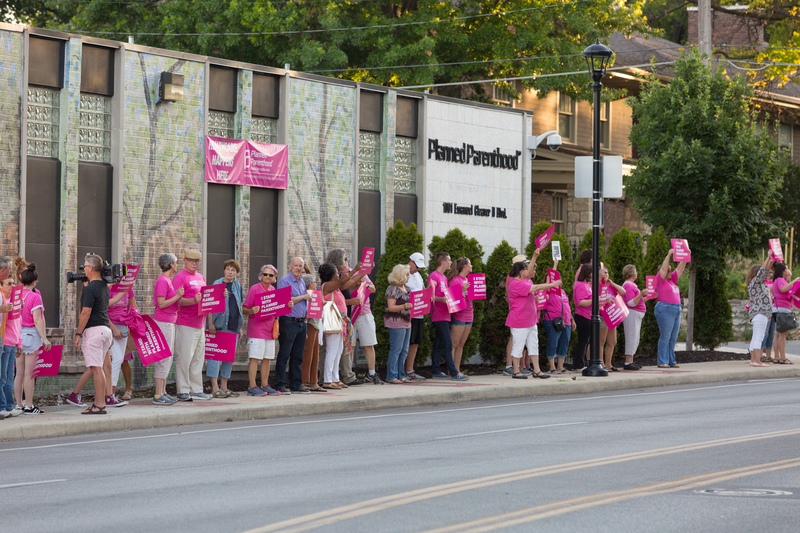 The demonstration lasted over an hour until sunset. 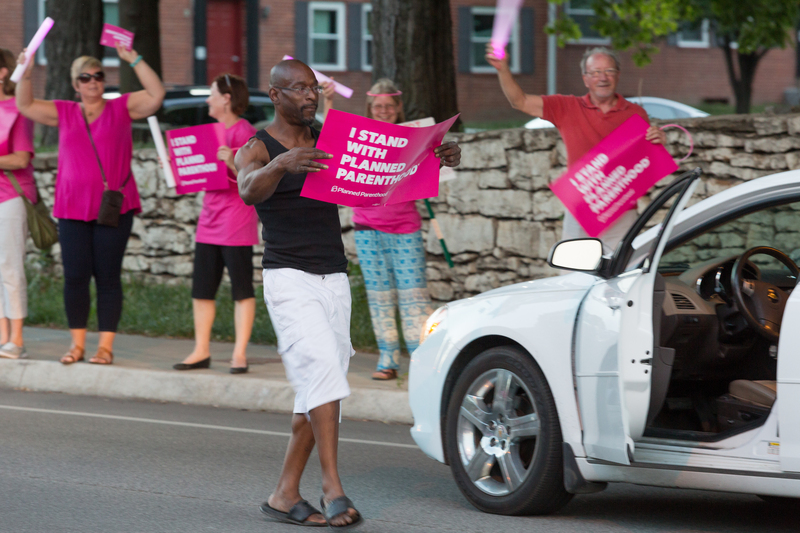 In front of Planned Parenthood on Emanuel Cleaver II Boulevard in Kansas City – June 21, 2017. Toward the end of the demonstration the occupants of a passing car stopped in the street and joined in. 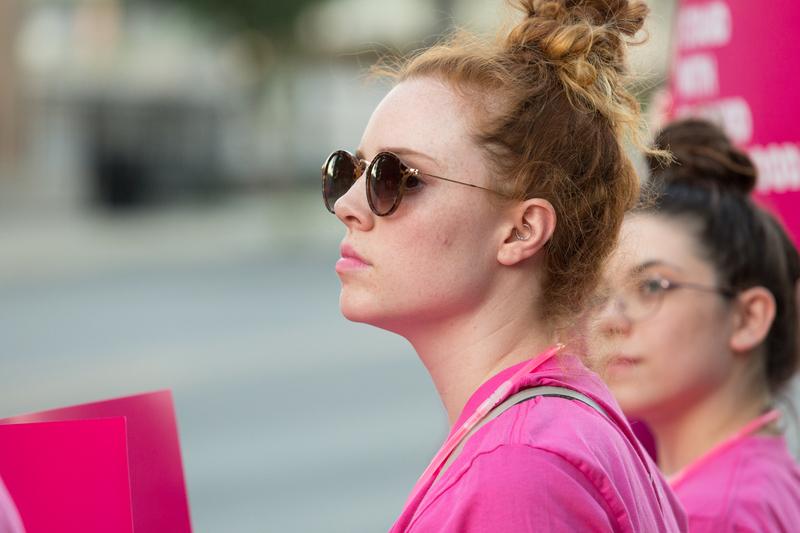 Women are leading the resistance. 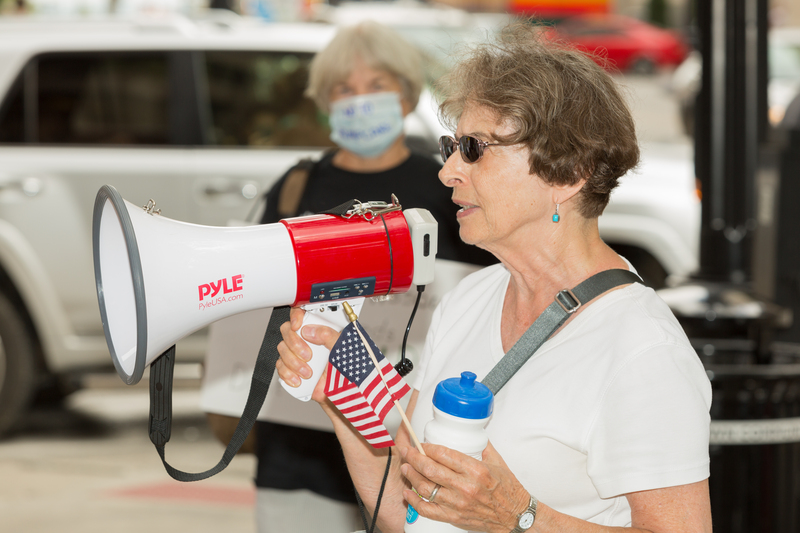 At noon a dozen constituents stopped by Senator Claire McCaskill’s (D) Kansas City office (in Westport) to share their concerns about Trumpcare with the senator’s staff. 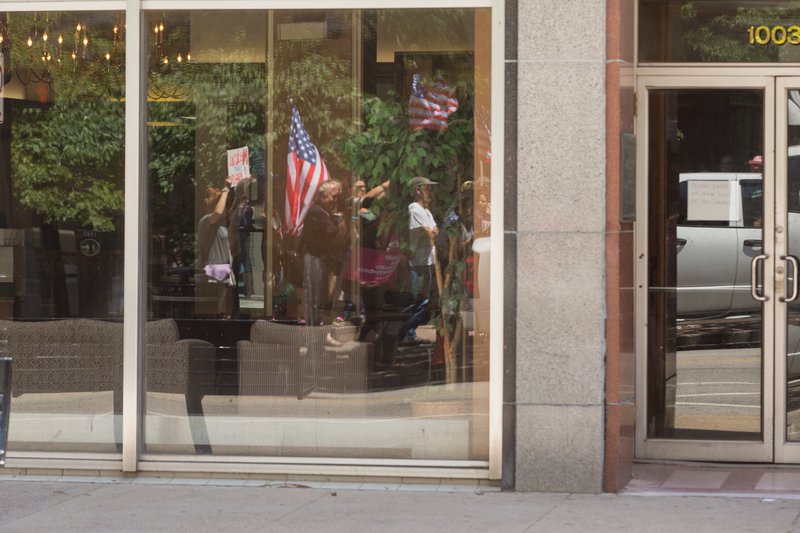 “Dissent is patriotic” – gathering in front of Senator Claire McCaskill’s Kansas City office. 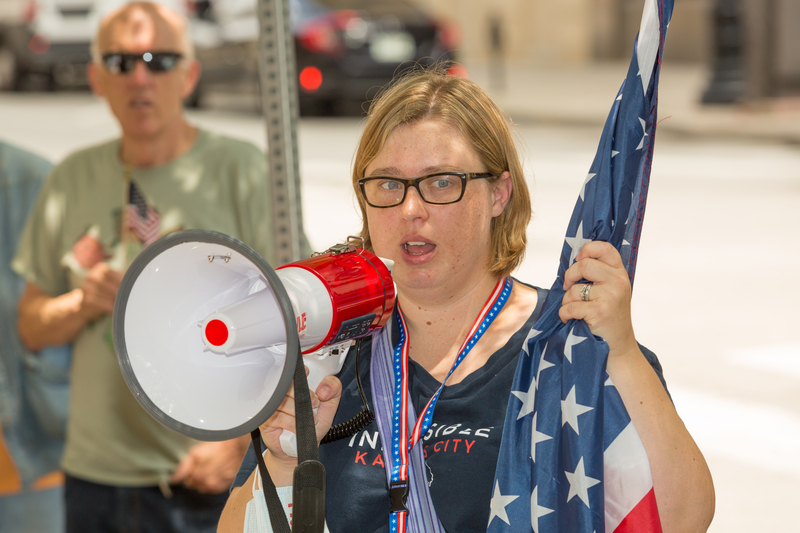 The group was organized by Indivisible KC. 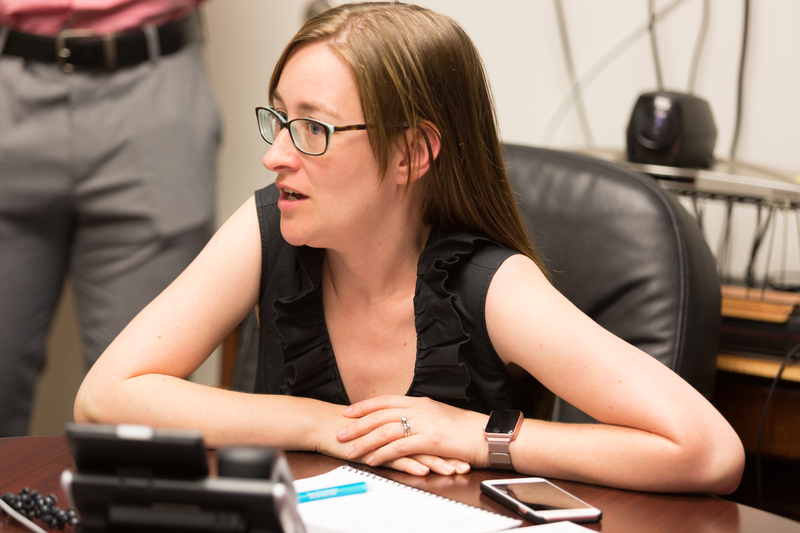 At noon they were ushered into a conference room with Brook Balantine, Senator Mccaskill’s Deputy Regonal Director, who took notes and answered questions. The meeting lasted an hour. 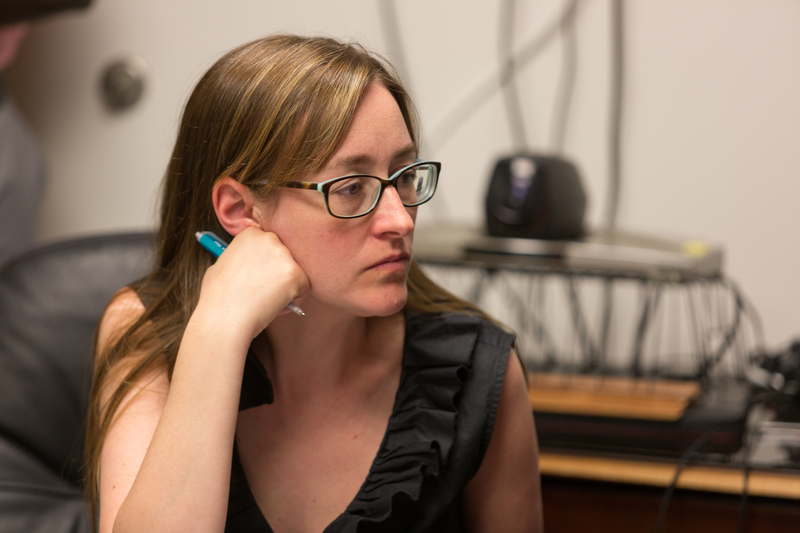 Brook Balantine, Deputy Regional Director for Senator Claire McCaskill (D). 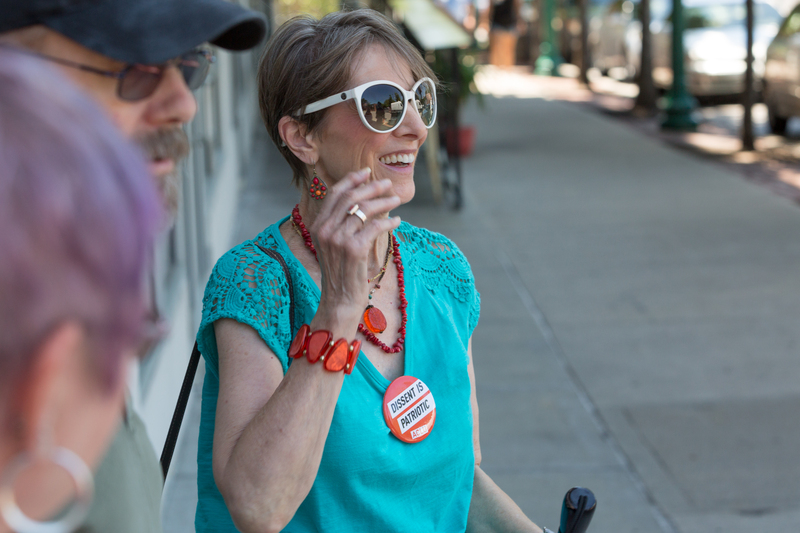 Individuals offered their personal health care stories and shared their concerns about Trumpcare and the Trumpcare iteration still working its way secretly through the republican controlled U.S. Senate. 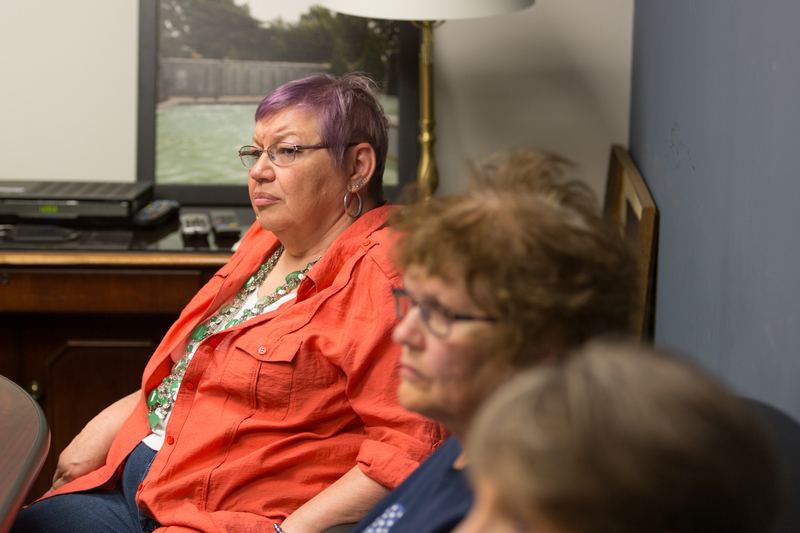 They told Senator McCaskill’s staff that they expect and trust that she will actively oppose Trumpcare and its devastating impact on the health care and health care access for millions of Americans. 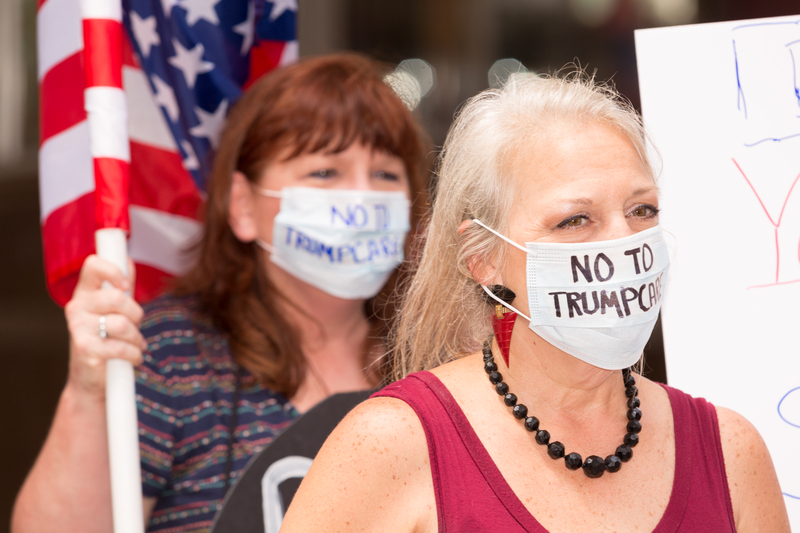 Could Roy Blunt help stop the Senate AHCA steamroller? The map above details the national lack of support for the GOP Dump & Dupe bill, otherwise known as the American Health Care Act (AHCA). 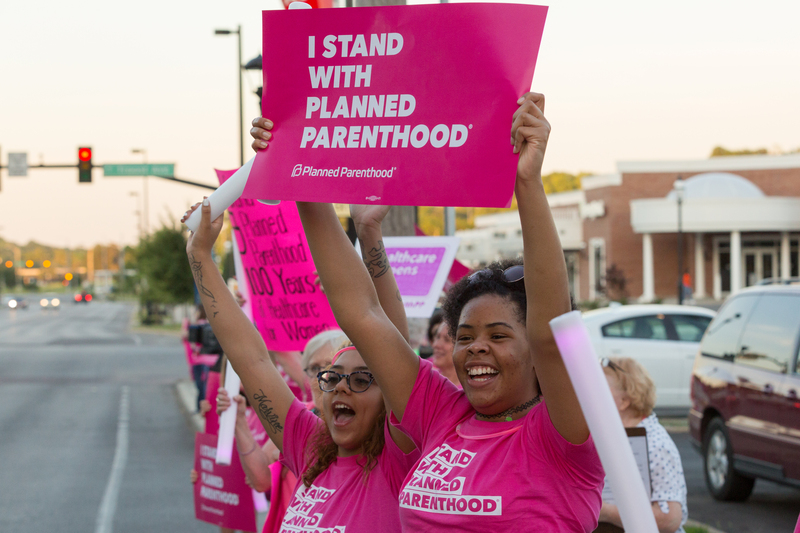 You will note that in Missouri support for the bill doesn’t go above 30%. 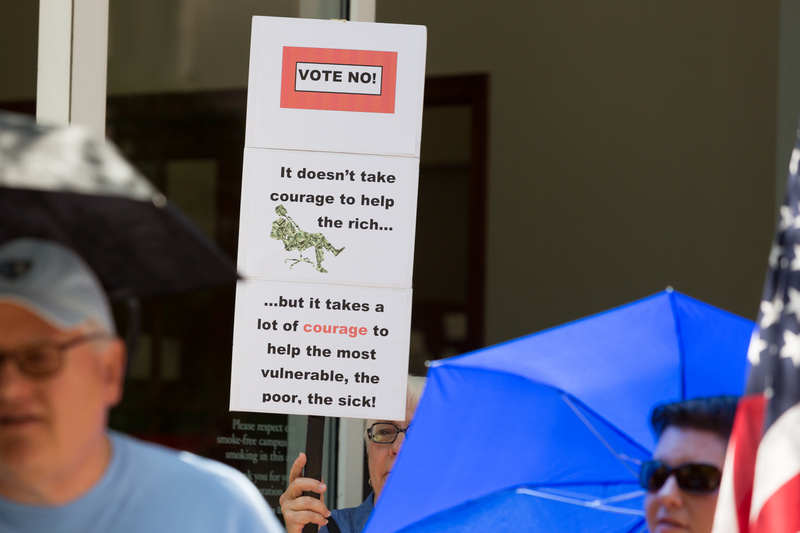 Which means that at least 70% of Missourians oppose Dump & Dupe. The Senate version, for all practical purposes, is being assembled in secret with a view to pushing it almost sight-unseen through the Congress with 51 GOP votes – and even though some Republicans are claiming to be disturbed by this outrageous maneuver, we all know that it’s likely that they’ll go along to get along. 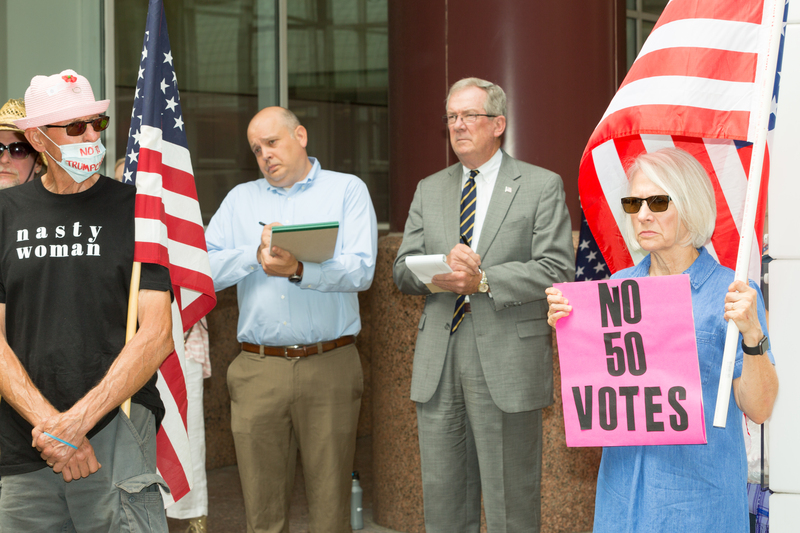 Leaks about the Senate version indicate that it will preserve the worst aspects of the House Bill, but will slow down the implementation process so that Republicans who vote for it won’t have to face immediate ballot-box consequences. By the time the bad stuff kicks in, folks will, so the plan goes, have forgotten who made it happen. Because Democrats have 48 votes against dismantling the existing law, any three Republican senators could put a stop to this fantastically anti-democratic process. They could walk into McConnell’s office and say they’ll oppose any bill that is not made public for at least a month of real scrutiny and discussion. 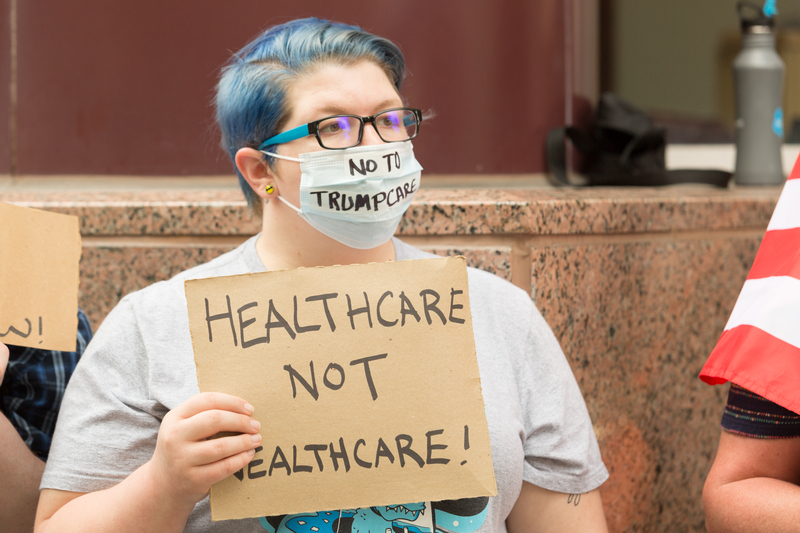 Is this too much to ask of legislation that could threaten the health care of countless Americans (the exact number being unknowable because the bill’s architects won’t admit to what they’re doing)? 5. Dionne adds that this fact means that “there is work here for activists, politicians and the media. 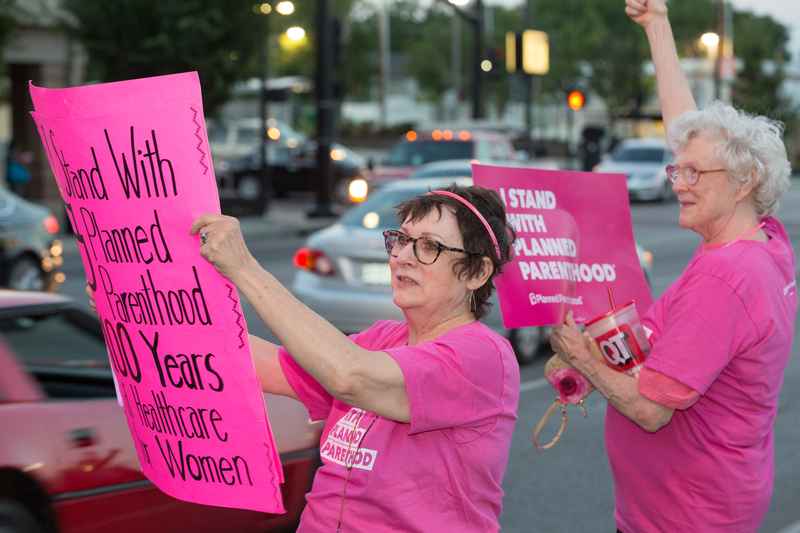 Activists must understand that they have less time to save the Affordable Care Act than they might think.” If McConnell really brings the Senate version of the AHCA up for a vote before July 4 as he has threatened, we’ve got 2-3 weeks to slow things down. 6. 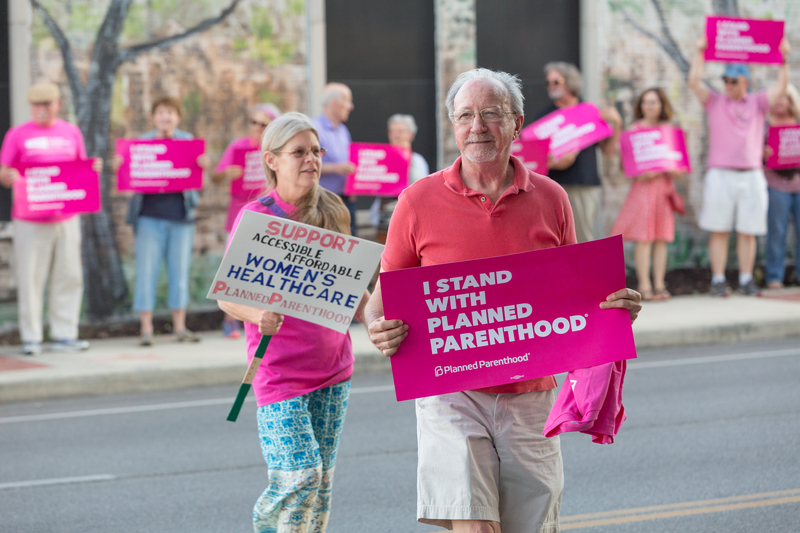 The urgent need to stop the Senate AHCA steamroller means that Missouri activists have got to get on the ball and start hitting GOP Senator Roy Blunt hard. 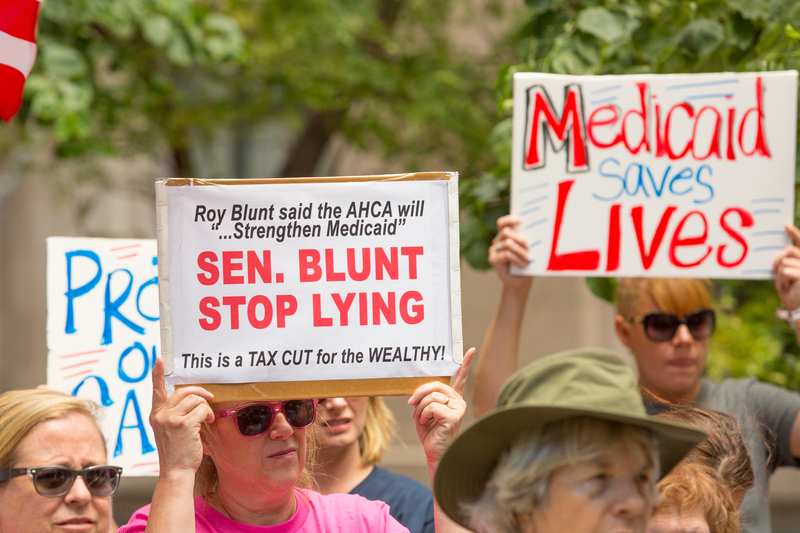 It’s unlikely that Blunt would ever be one of the three Republicans necessary to buck the McConnell steamroller, but we have to try to persuade him – we need to remind him of the fact that at least 70% of Missourians do not support the destructive provisions of the AHCA. Even Roy Blunt knows that no matter how big his campaign coffer may become thanks to that big tax cut for fat cats, actual everyday voters, you and me, in the last analysis, pull the lever in the voting booth. 7. 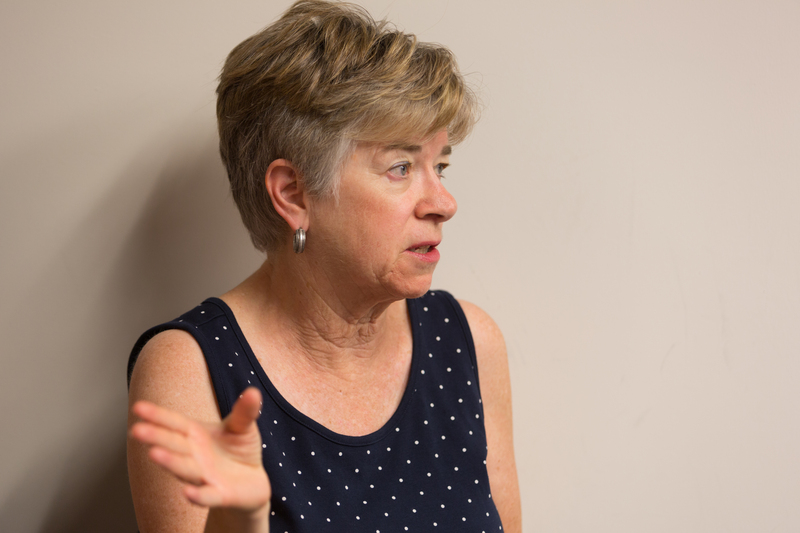 All Blunt needs to do is, as Dionne suggests, refuse to go along with the process, insist that it be slowed down, and the merits and the negatives of the bill be hashed out in the public eye. Responsible legislators aren’t afraid of accountability. Only bad laws need to be hidden from the people they will affect. 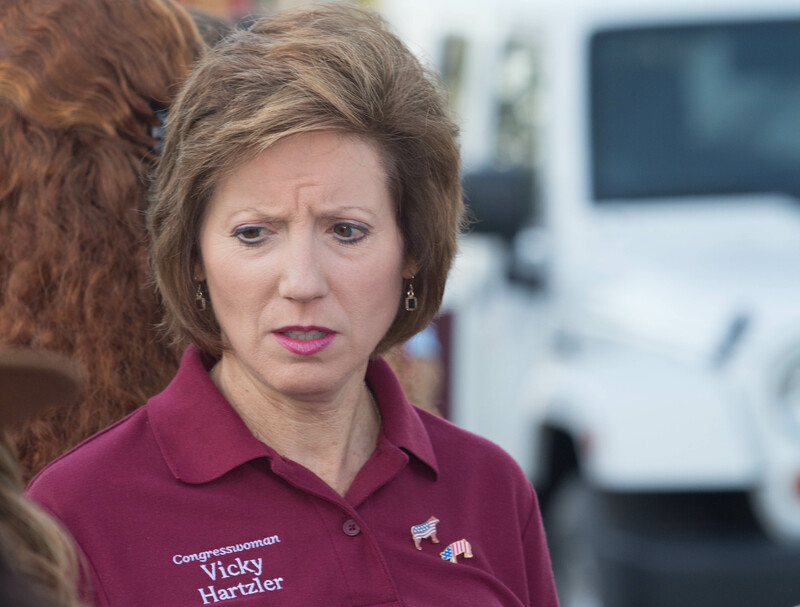 Rep. Vicky Hartzler (r): Okay, this is funny. And sad. Rep. Hartzler’s AHCA Town Hall! 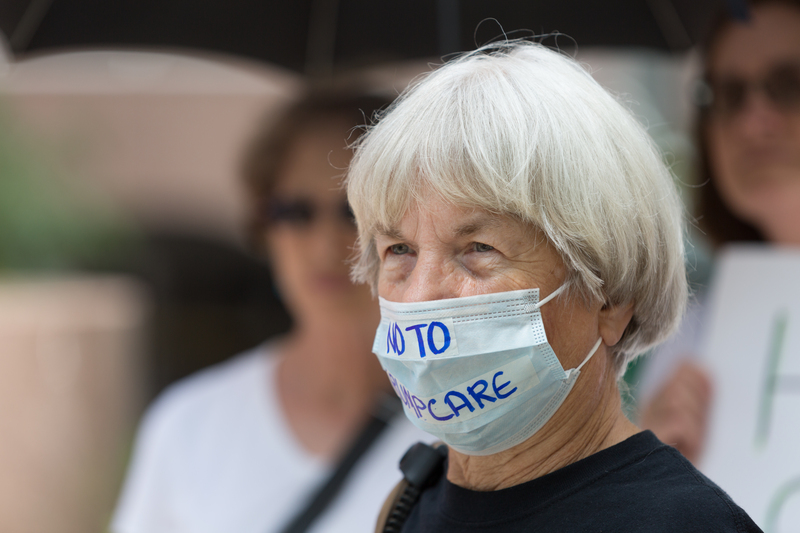 – Increase premiums for older Americans by up to 5x. 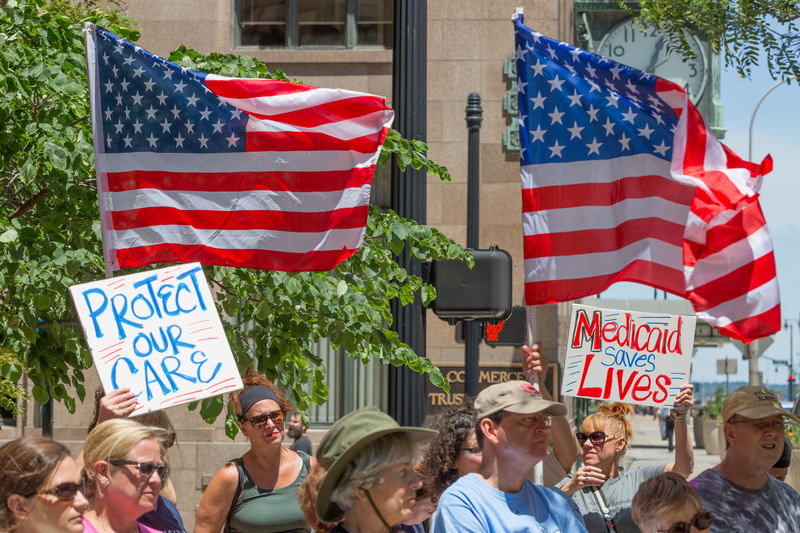 – Cut nearly a trillion dollars from Medicaid over 10 years. 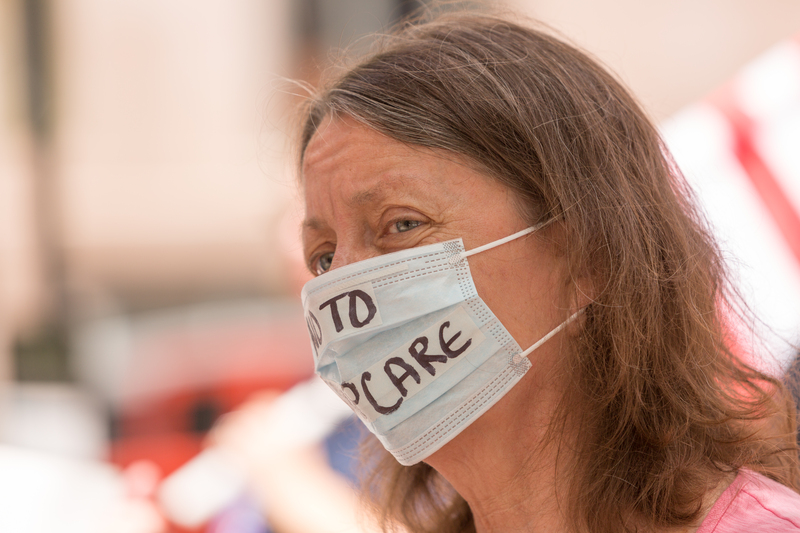 – Allow states to opt out of the most basic types of coverage. – Cut taxes for the rich by $900 billion. – Increase the costs of a healthy pregnancy to $17,600 while insured. 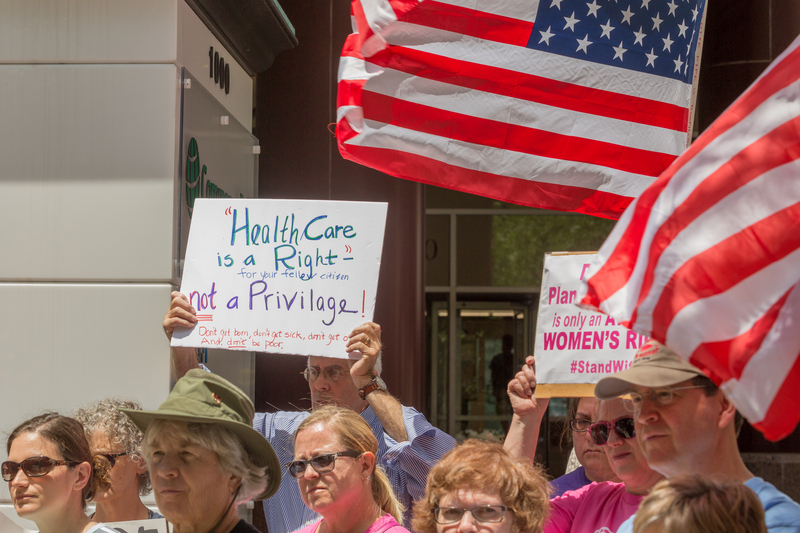 – Make healthcare inaccessible for 24 million people. For more information about the affects of the AHCA, read the bipartison Congressional Budget Office’s analysis and Vox’s analysis. 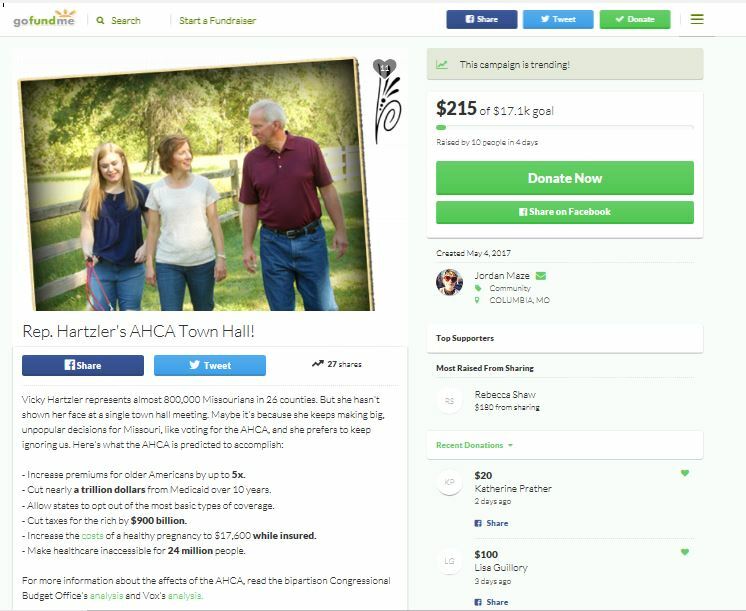 We are hoping to raise $17,600 for Representative Hartzler – the cost of a healthy pregnancy under the AHCA – to get her back in her district for in-person town hall meetings in at least three cities or towns in the next two months. Perhaps she can use this money to support the health of newborn babies, a constituency about which she is vocally passionate (see above). 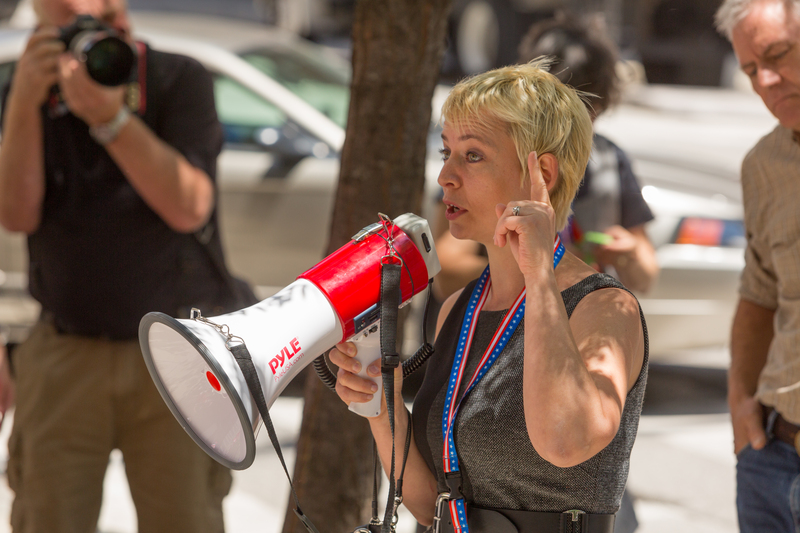 This is a unique opportunity for her to hear from her constituents. 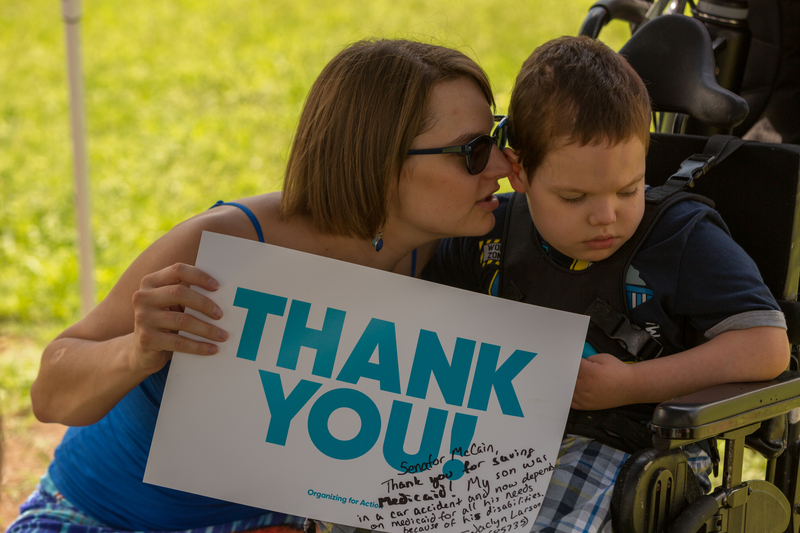 We are tired of the lies that this legislation will somehow lower costs while keeping healthcare accessible. This is not true. 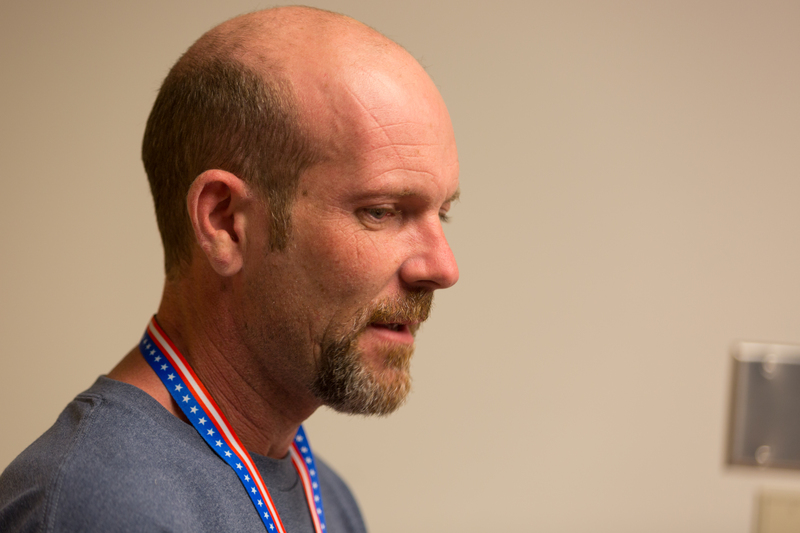 The premise of health insurance is that everyone pays a little bit for the greater good. They make it work in every other developed country – why not ours? 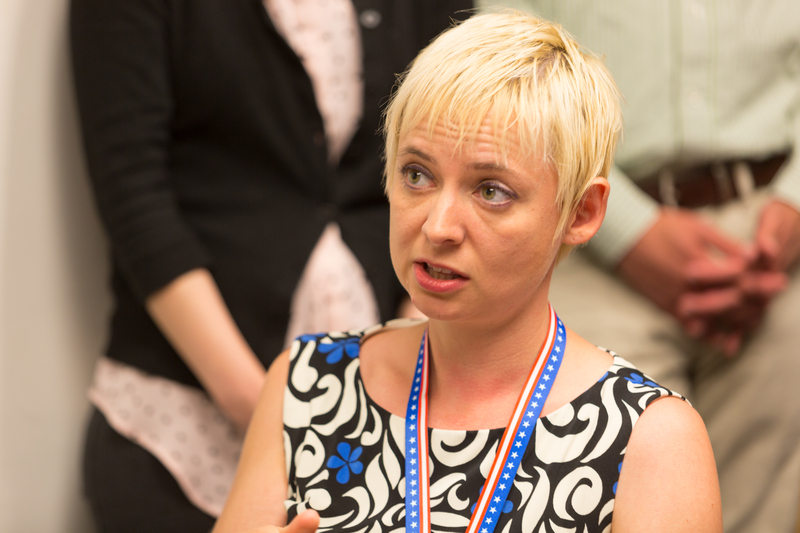 Vicky, join us for a town hall and justify your choices – we’ll even pay you! That would be a probability of zero.